It can happen very quickly in your home or cottage in the winter or the summer. A simple ordinary power failure that seem to be happening more and more these days, or a malfunctioning furnace or air conditioner that is not working because of a damaged fan, a defective motor, or even a simple blown fuse can let your home or cottage temperature reach dangerously low or high temperatures that can have catastrophic implications in your home and your belongings. High temperatures can damage computer and expensive home theater equipment, spoil food and destroy refrigerated inventory and even kill pets and livestock if exposed to extreme temperatures for extended periods. 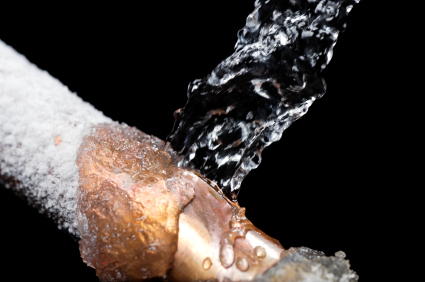 Low temperatures can freeze pipes causing them to burst and flood your property causing thousands of dollars in damage which is not a great situation to come home to. These heat and freeze related problems can occur at any time, day or night winter or summer. The difference between normal and excessive operating temperatures is something that must be detected to protect your home. Temperature extremes escalate quickly when HVAC systems fail suddenly and your home is vacant. Installing a monitored temperature alarm is an important proactive strategy for protecting your property and letting you know when the problem happens long before the damage occurs. Cottages and vacation homes are especially prone to damage from falling temperatures or rising temperatures. Often these homes are unoccupied for much of the winter causing problems such as burst or leaking pipes to go unnoticed for extended periods of time causing damage that often would not be detected for days or longer. Installing simple temperature alarm sensors can reduce many of these problems that will inevitable occur if not detected quickly. When the temperatures at your monitored home falls or rises within the programmed threshold our Pre-Lock temperature sensor can automatically sends you an email on your smartphone and people are reached out to via our central station to attend and resolve the problem quickly. Let us help you protect your home from High / Low Temperature extremes.